The word is enough to make your mouth water and bring out the child in you. This is the one single thing which can bring smile on children, teens, adults or even the elderly. The one reason I understand for this universal appeal of chocolate is that it melts at very low temperature (30° C - 32° C), which is very close to human's body temperature. Being a home baker, there would be several occasions when you would need to temper (i.e. 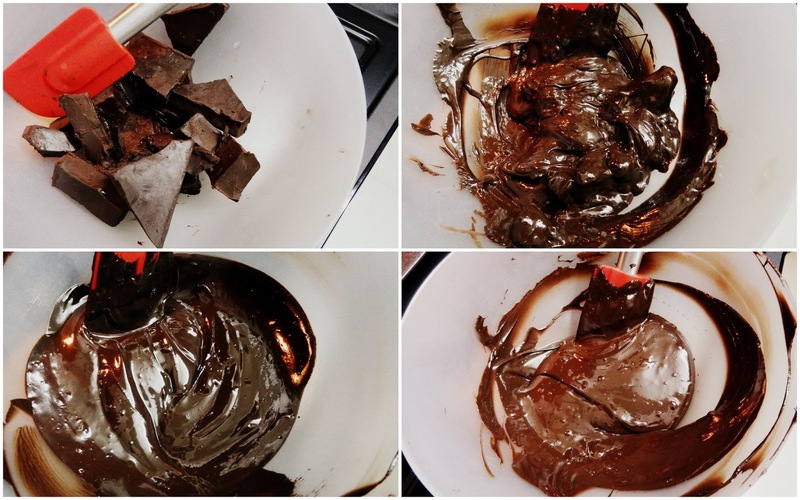 melt the chocolate) the chocolate to make chocolate ganache, chocolate brownies or even making chocolates. 1. Place a saucepan, half filled with water, over gas until the water starts to boil. 2. Keep the cut pieces of chocolate in a bowl. 3. Make sure the bottom of the bowl does not touch the water, but creates a seal with the bottom of the pan to trap the steam produced by the simmering water. 4. Turn the heat to low so that the boil becomes a slow simmer. 5. Continue stirring the chocolate until the chocolate completely melts. This microwave method is the easiest method for me. Its quick, its easy without the risk of burning, doesn't require too many utensils to clean up later (a big plus for me). I have a 3-2-1 step which works well for me all the time I temper chocolate in microwave. 1. Place the chocolate (at room temperature) in small chunks in a microwave safe bowl. Plastic or glass bowl, both work well. 2. Place the bowl in the microwave for 30 seconds. 3. After 30 seconds, take the bowl out and stir. Stirring helps in distributing the heat evenly, so it melts evenly. 4. Place the bowl back in microwave for 20 seconds. Take out and stir again. 5. Place the bowl in microwave again for 10 seconds. Take out and stir. 6. 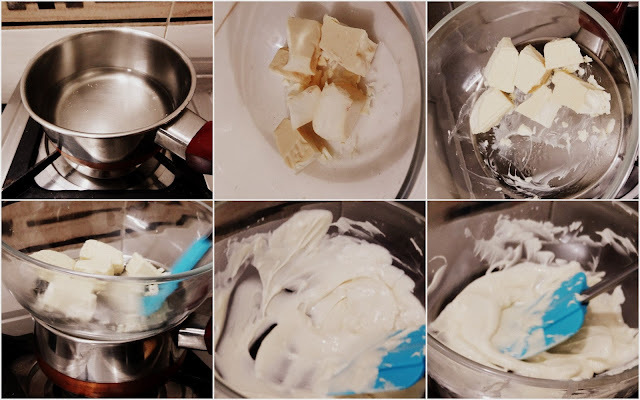 By step 5, you will find the chocolate is melted completely. If not, repeat step 5 until the chocolate is completely melted and running. So, now you are ready to use your chocolate for making several things. Use this for making chocolates, chocolate ganache, drizzling the chocolate over cookies or cakes.